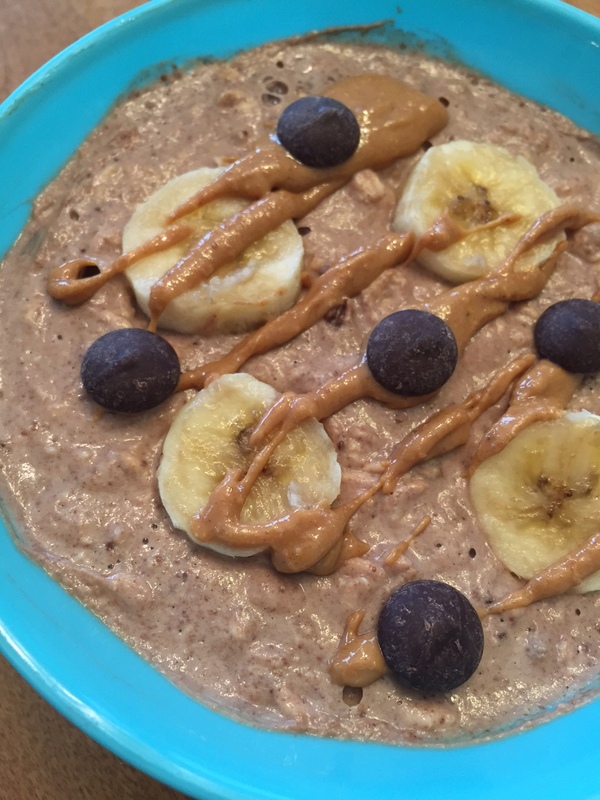 Overnight oats…what the heck are those? Basically, they are the easiest and most delicious breakfast EVER! Since I am always on-the-go, and not a morning person, they are perfect for me because they are made the night before. Then in the morning I just grab them and go – no heating or cooking required. 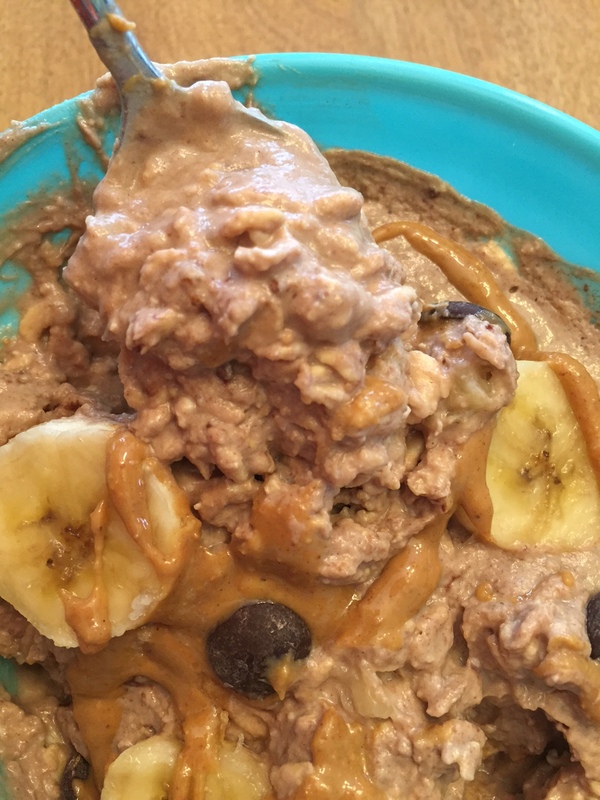 I had seen overnight oat recipes all over Pinterest for awhile, but never tried them. I think I assumed they would be too much work or something. But once I tried them, and realized how easy they are to make, I’m hooked! 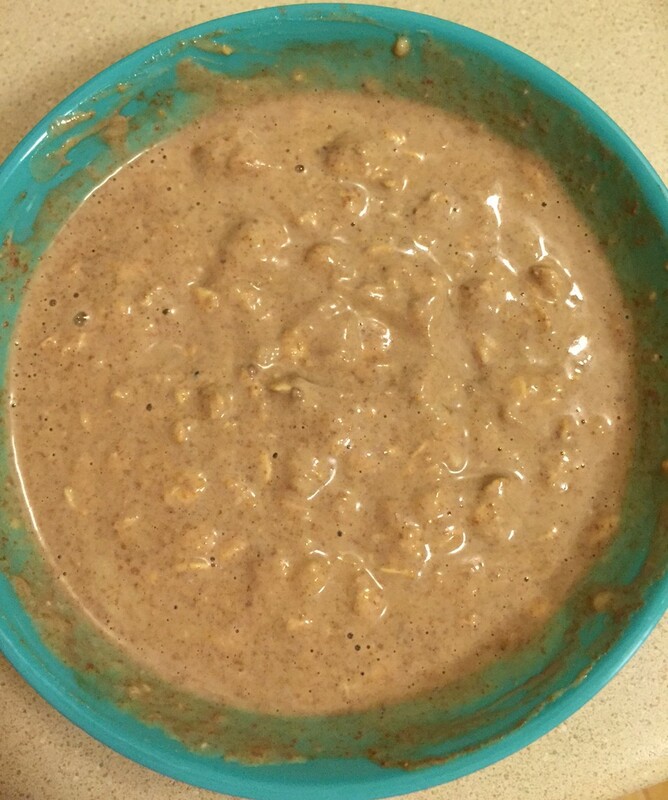 The main ingredients are whole oats, yogurt, and milk. I played around with the proportions of these for awhile until I found the combo that tasted best. 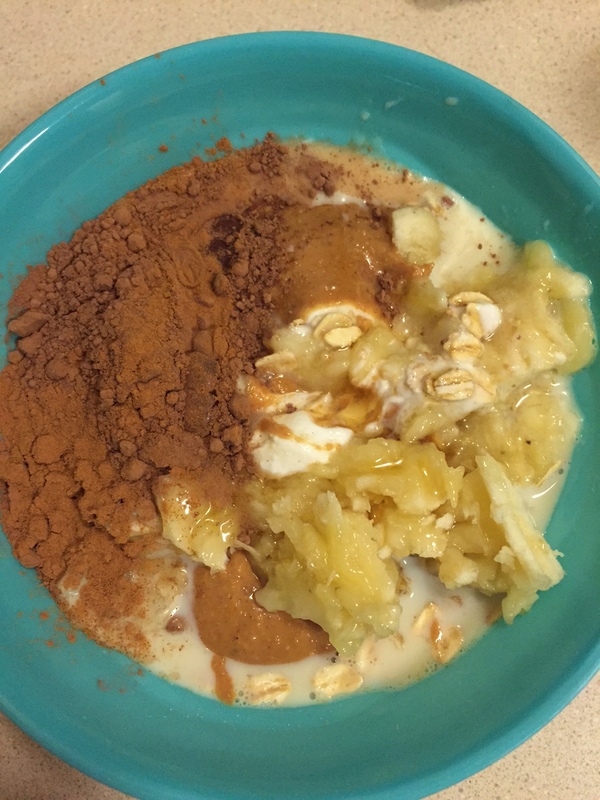 Then you just add your other ingredients – fruit, nuts, cocoa powder, peanut butter, coconut, etc. Just stir everything together in a bowl (I usually use a Tupperware so I can take it with me), leave it in the fridge overnight, and in the morning…boom! The oats get thick and creamy and breakfast is ready! So versatile, easy, and yummy. 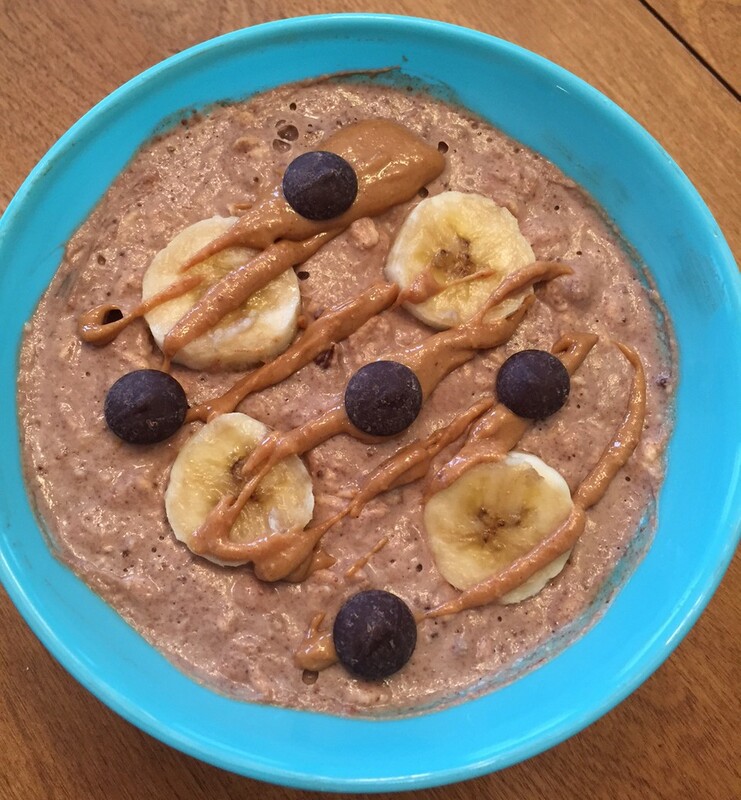 This banana, chocolate, and peanut butter combo is my personal favorite; it tastes like dessert but it’s good for you and super filling. The perfect breakfast (or snack)!